Racing title F1 2017, the official game of the 2017 Formula One World Championship, is available for purchase and download from the Mac App Store starting today. 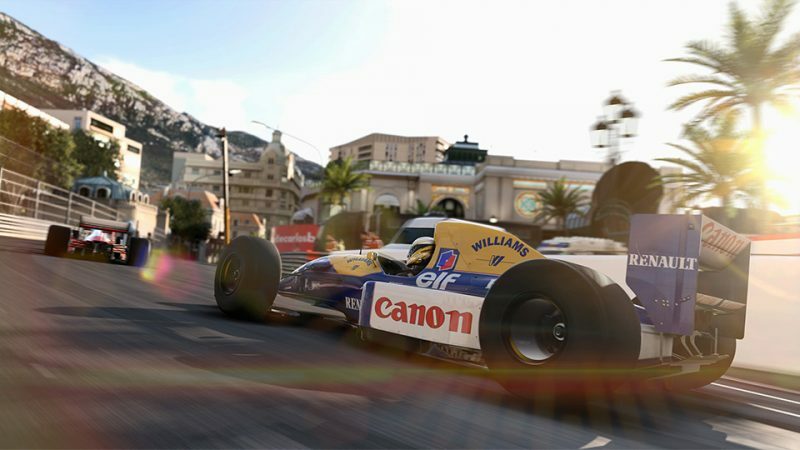 Published by Feral Interactive, F1 2017 was released for Mac in August, but has previously only been available from the Feral Store and Steam, with the Mac App Store taking longer to release. F1 2017 is based on the 2017 Formula One season and offers access to all 24 circuits, 20 drivers, and 10 teams that are competing this season. Players can choose from several unique Championship races to play, including the official 2017 FIA Formula One World Championship, the Classic All-Weather Championship, and the super-accessible, race-only Sprint Championship. The game is the ninth F1 in the series, and this new version brings an expanded team management mode, giving players additional control over the research and development of new car parts. Win the 2017 World Championship and race some of the fastest and most iconic F1TM cars of the last 30 years. Seriously, this is the earliest into the season we've ever had the official F1 game on Macs -- this year the Steam version for Mac released the same day as the Windows version, for the first time ever. If you want to support Feral and their long Mac gaming history and future efforts, you could do worse than buy this in recognition of that. Codemasters can't really release the Windows version (which Feral ports for Mac) an awful lot earlier than they do, as they have to model the cars based on what arrives at Australia in March, and the relative performances of those cars based on the first few races. The earliest they've ever released is July, and that was the most stripped-down and disappointing game in the series to date. You can play with an eGPU, just put an RX580 in it and have fun! It can barely hit 40fps on my 2010 Mac Pro with 32GB RAM, a 3.46GHz hex core and a GTX 980 Ti in it. In Windows it'll sit comfortably at 60fps at the same resolution. I mean, it's nice that games get Mac support but they're total garbage compared to their Windows versions. I'm not sure if that highlights the difficulty of porting or just how bad Metal is relative to DirectX. Hmmm. The PC version is down to like half the price. So will the Mac version in around 3 to 4 months. I got F1 2016 in the Steam Store for £14.99 you just need to keep your eyes peeled for the offers when they come along.